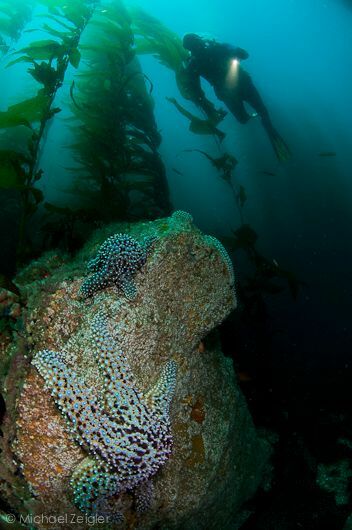 Southern California's new MPAs went into effect on January 1, 2012, increasing the number of Underwater Parks from thirteen to fifty. Recently, I was asked by the Aquarium of the Pacific in Long Beach, CA, to help them celebrate 'Underwater Parks Day.' 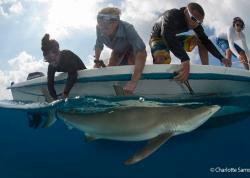 Being a volunteer diver and a member of their scientific dive team, I was more than happy to help in the celebration. This is the fourth year that the Southern California Aquarium Collaborative, including the Aquarium of the Pacific, has celebrated the Marine Protected Areas. My goal, via my underwater photography, was to make the audience, especially the non-divers, aware of the incredibly diverse and colorful critters and ecosystems we have here in our local Underwater Parks. 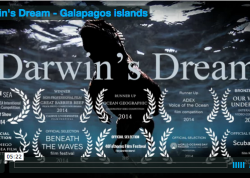 My goal with this article is to share the changes that have gone into effect here in southern California and shed some light on some of the Marine Protected Areas around the world. 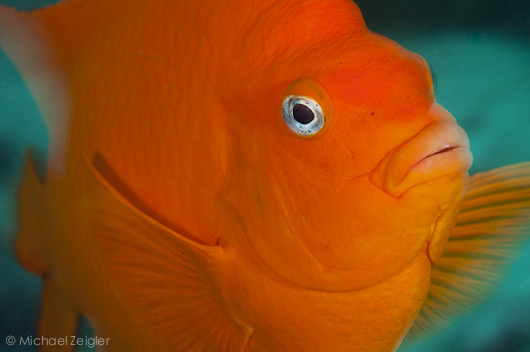 The garibaldi, Hypsypops rubicundus, is the official state marine fish of California. Nikon D90, 60mm macro lens + 1.4x teleconverter. F18, 1/8, ISO 200, with flash set on rear-curtain sync. At the root of the Underwater Parks is the Marine Life Protection Act of 1999 (MLPA). 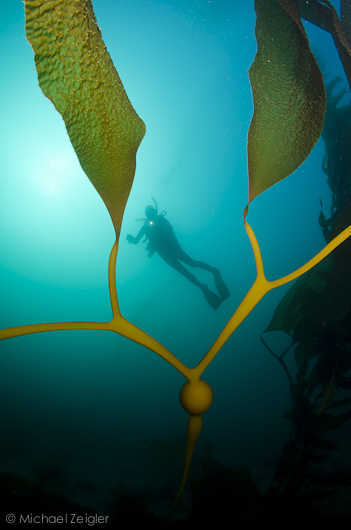 The MLPA requires California to reevaluate all existing marine protected areas (MPAs) and potentially design new MPAs that together function as a statewide network. California has taken a regional approach to redesigning MPAs along its 1,100 mile coastline. 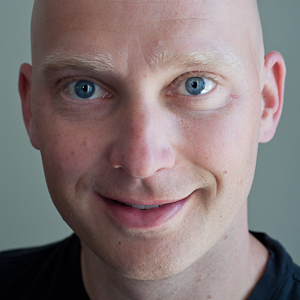 The major regions include northern, central, and southern California. According to the California Department of Fish and Game, there are six goals that have guided the development of the Underwater Parks. Protect the natural diversity and abundance of marine life, and the structure, function and integrity of marine ecosystems. Help sustain, conserve and protect marine life populations, including those of economic value, and rebuild those that are depleted. Improve recreational, educational and study opportunities provided by marine ecosystems that are subject to minimal human disturbance, and to manage these uses in a manner consistent with protecting biodiversity. Protect marine natural heritage, including protection of representative and unique marine life habitats in CA waters for their intrinsic values. Ensure California's MPAs have clearly defined objectives, effective management measures and adequate enforcement and are based on sound scientific guidelines. Ensure the state's MPAs are designed and managed, to the extent possible, as a network. Kelp forest at one of my favorite Catalina Island sites, Empire Landing. Nikon D90 with Tokina 10-17mm FE lens. F10, 1/25, ISO 400 @ 10mm. 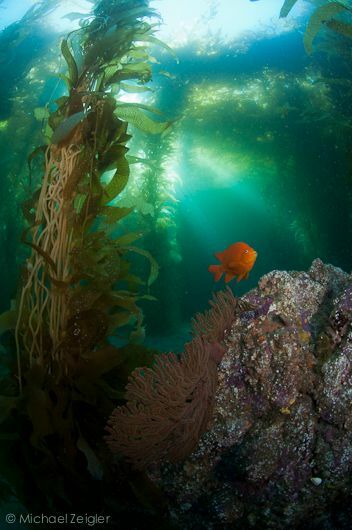 January 1, 2012, marked the implementation of a new network of Underwater Parks here in southern California. Just so that we’re on the same page, an Underwater Park is a blanket term used to describe the Marine Protected Areas, which are divided into a few different categories. The map below, albeit busy, depicts the 50 Underwater Parks in southern California. They extend from Point Conception, to the Mexican border. 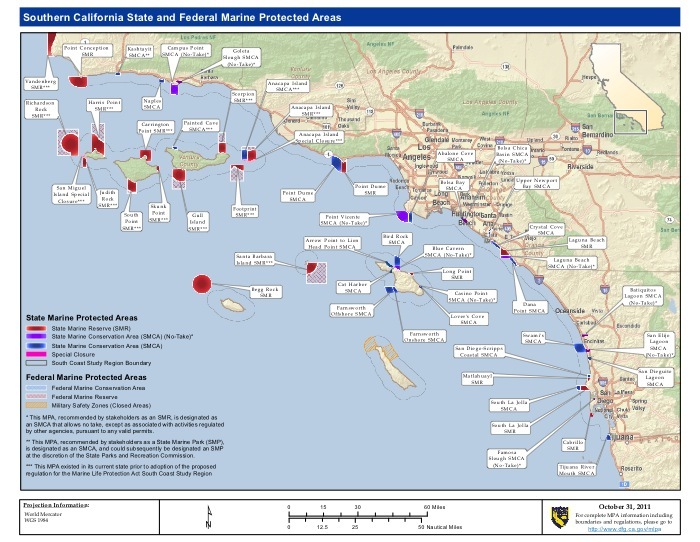 With the addition of the southern California region, the entire network of California's Marine Protected Areas has grown to over 100. This is a map representing the southern California Underwater Parks, most of which went into effect on January 1st of this year. The new parks cover approximately 354 square miles of state waters and represents approximately 15% of the region1. Map courtesy of California Department of Fish and Game. A torpedo ray (aka Pacific electric ray) glides slowly through the water column, framed by huge blades of elkhorn kelp in the foreground. Photo taken at Catalina Island. Nikon D7000 in Sea&Sea housing, Tokina 10-17mm FE lens. F8, 1/320, ISO 400 @ 17mm. Elkhorn kelp takes over where the giant kelp leaves off near 60fsw. Image taken at Kroll's rock, Catalina Island, CA. Nikon D7000 with Tokina 10-17mm FE lens. F8, 1/80, ISO 100 @ 10mm. The Bowie Seamount on the Coast of British Columbia, Canada. The Dry Tortugas in the Florida Keys, USA. The Papahānaumokuākea Marine National Monument in Hawaii. "Rock stars," taken at Anacapa Island, CA. Nikon D90 with Tokina 10-17mm behind 5" Precision Dome. F9, 1/100, ISO 200 @ 10mm. 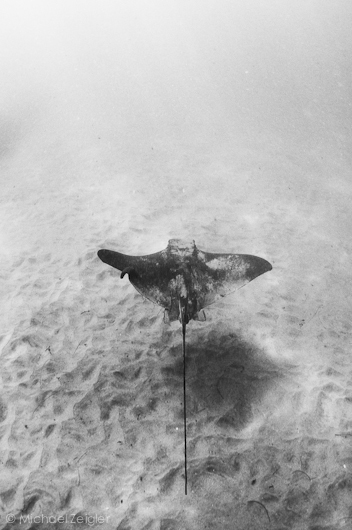 You don't have to be a scuba diver to enjoy the critters of southern California. 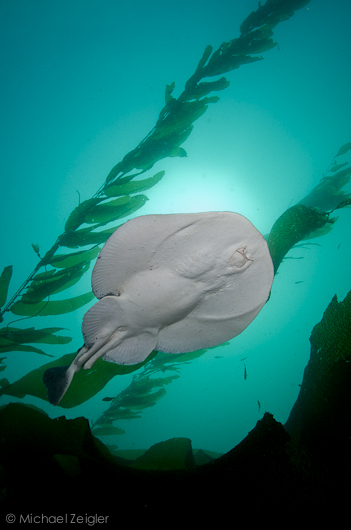 This bat ray was photographed while snorkeling at Diver's Cove in Laguna Beach, CA. Nikon D90 with Tokina 10-17mm. F8, 1/125, ISO 200 @ 17mm. Converted to black & white using Silver Efex Pro 2. 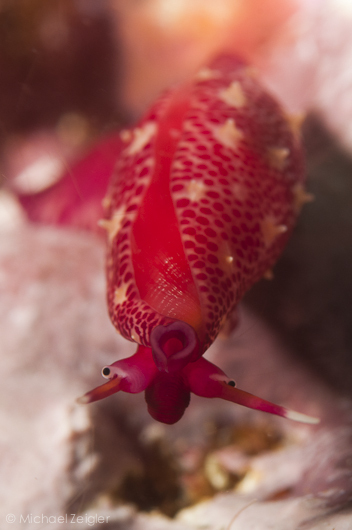 A simnia snail looks up to say hello at Rat Rock - Anacapa Island, CA. Nikon D90 with 60mm macro lens + 1.4x teleconverter. F22, 1/200, ISO 200. Obviously I am just scratching the surface of the information available on Marine Protected Areas. As controversial as these areas are, I believe that future generations will benefit greatly by their implementation. As an underwater photographer, I am looking forward to witnessing the locals habitats proliferate. For more information, please visit the sites below.